Throwing a kid's party and want a cool toy or treat bag filler to give away to the party guests? 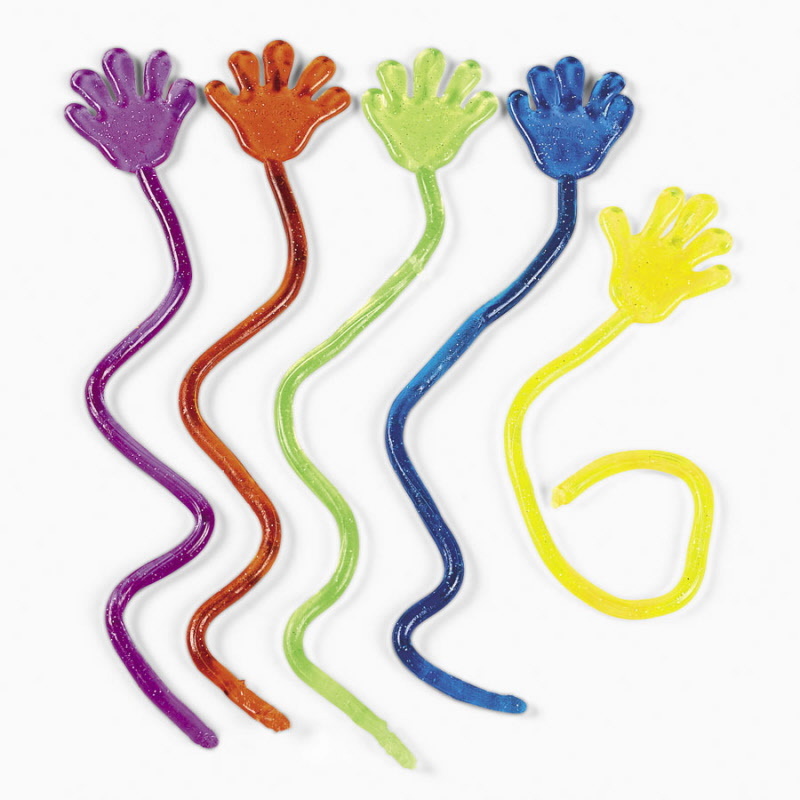 Grab these fun colorful Glitter Sticky Hands. Hand them out at the door or throw them into the party favor bags for later; they will do the trick. The kids will have a ton of fun using these when they play.